With nationwide campuses, a Correspondence College and highly respected qualifications, Damelin is one of South Africa’s best known and established tertiary education institutions. Damelin has been helping students gain recognised, relevant qualifications since 1949. Having one of our many employer-recognised qualifications on your CV makes you much more marketable. And at Damelin, you can choose the study method that best fits your lifestyle and your budget. So why not check out our prospectus and sign up for a course today? With nationwide campuses, a Correspondence College and highly respected qualifications, Damelin is one of South Africa’s best known and established tertiary education institutions. 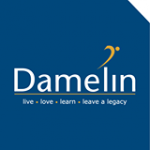 Damelin has been helping students gain recognised, relevant qualifications since 1949. Having one of our many employer-recognised qualifications on your CV makes you much more marketable. And at Damelin, you can choose the study method that best fits your lifestyle and your budget. So why not check out our prospectus and sign up for a course today? If you want to study full- or part-time in a face-to-face environment, apply for our lecture-based studies at one of our nationwide campuses. Small classes mean personal attention and a better chance of making the grade. If you’re already working, why not take up a Damelin part-time course? You can also study at home in your own time through our well-established Correspondence College. However you choose to study, you can be confident that Damelin’s range of courses are relevant, useful and will equip you with skills that are in demand. So how are you going to kick-start or boost your career? We pride ourselves on being a provider of quality learner-focused education. It is our mission to deliver innovative yet relevant programmes on multiple NQF levels while contributing with integrity and commitment to the community ideals of skills development and employability. Our mission is to meet regulatory requirements as they apply to private institutions and exceed the expectations of quality. Already studying and want to connect with other students at Damelin? Maybe you’re considering your tertiary study options, or are looking for qualifications to propel you up the corporate ladder. You’ve come to the right place! Take a look around - we hope you find your visit here entertaining and useful.